Poche Centre for Indigenous Health, Flinders NT, Alice Springs, NT Kerry is a Senior Lecturer/researcher and currently Deputy Director of the Poche Centre for Indigenous Health & Wellbeing, Alice Springs. 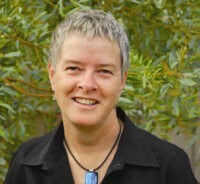 Kerry has extensive experience working in Central Australian remote communities with a variety of organizations, including the Centre for Remote Health, Flinders University, School of Nursing & Midwifery, and NT Department of Health. Kerry's PhD thesis was a study of intercultural communications in health care in Indigenous language settings. Her higher education teaching and research experience has been in the areas of Indigenous health, remote health and cultural safety. In 2010 Kerry co-authored a text titled: (Taylor & Guerin) Health care and Indigenous Australians: cultural safety in practice’. This text won a 2010 Australian Publishers’ Award.